I love stretching, I love yoga and I hate using a slippery towel or my son's rubbery yoga mat! Last month I received the a Sole Yoga Mat which is a completely non-slip, super absorbent microfiber towel fused to a natural tree rubber base! Yes, that is exactly what it is. 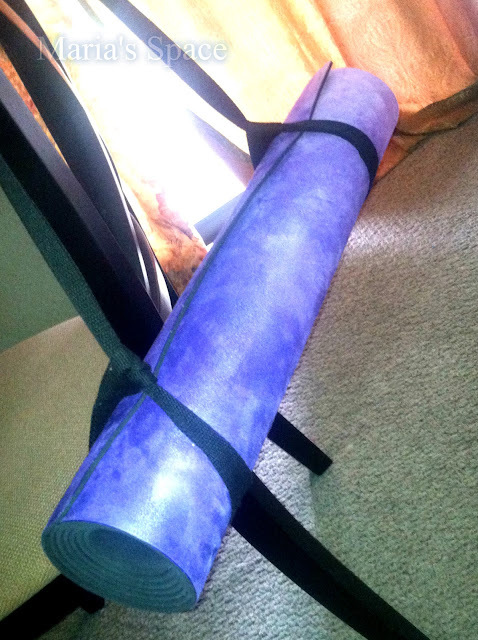 The best yoga mat I have ever used, even better then the ones they use at the many yoga studios I have joined over the past 20 years. It is designed to be slip free even during Bikram and Hot Yoga. 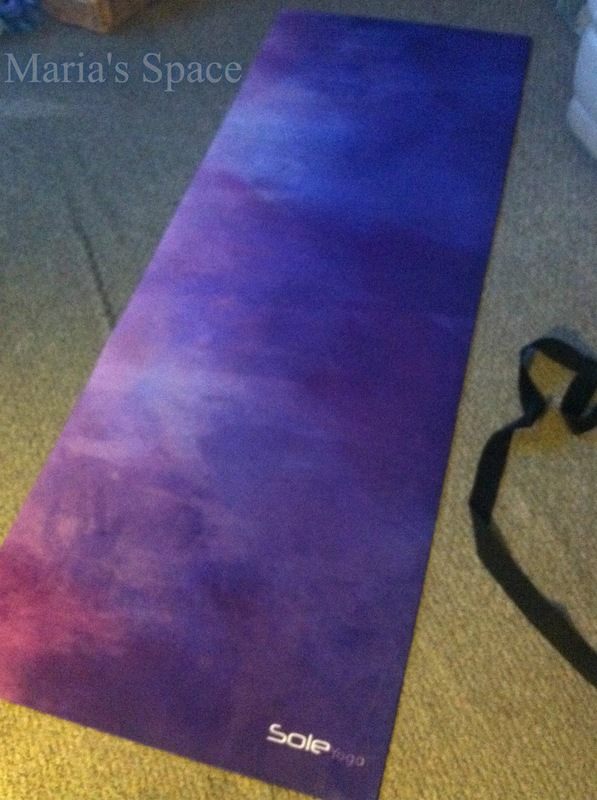 The Watercolor yoga mat by Sole is completely washable and portable with it's carrying strap and money back guarantee you can't go wrong. 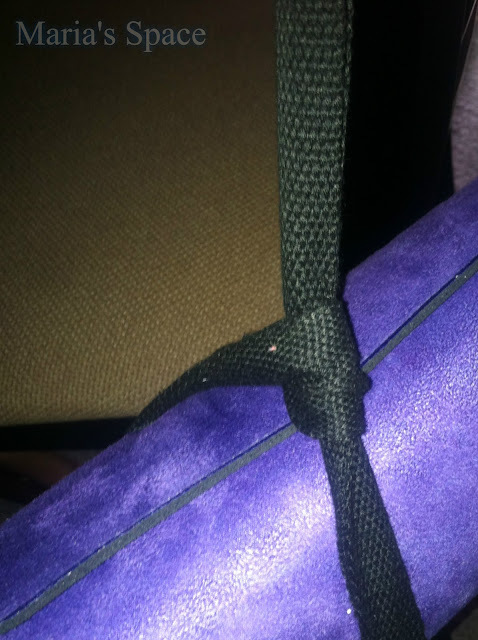 The carrying strap. 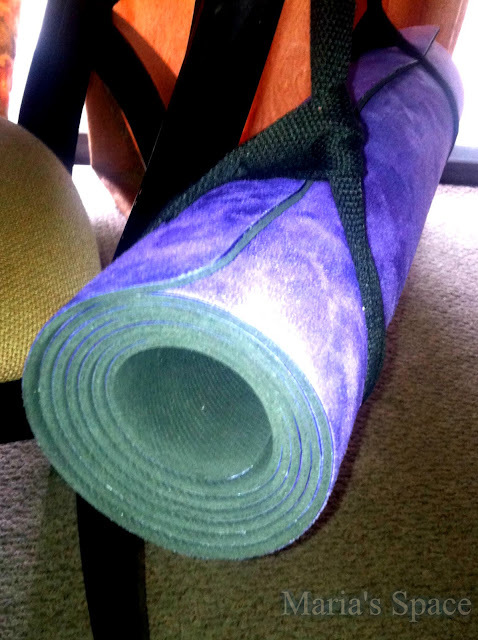 What I love about the strap for this is how it doesn't matter how small you roll the mat, the strap opens easily to accommodate and then you pull it so the yoga mat is snug and won't slip out! The price could deter some from purchasing it but it is a superior mat! It is truly worth the extra and if you are looking for a long term mat, this is the one. It is one of the most comfortable mats I have ever used and I am not sure if it is because of the color, the size, or the comfort of it but when I am not using it my kids take turns using it. They watch TV sitting on it, read on it and play with their toys on it. NOW...that I talked about how awesome I think it is time to share some photos. Here is the mat hanging on my chair, you can see how easily portable it is. Just toss it on your back and go! See how beautifully it rolls up?! 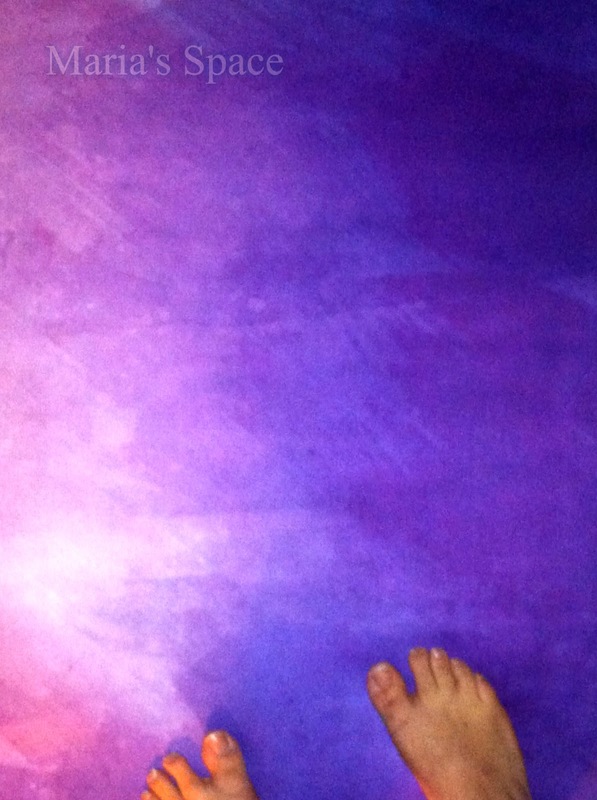 I love the color of this yoga mat. Very nice. I've never tried yoga, but I know several people who swear by it. They would love this mat. I love the color! That is a really nice mat! This mat looks great. I really like the look and colors! I also like that it has the carry straps. I love the watercolor effect. My physician was just telling me this afternoon that I need to try yoga. I love the watercolors. It looks really nice and relax! !